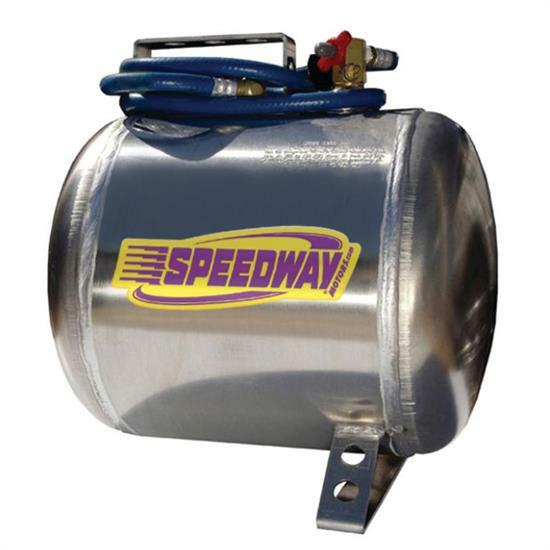 Speedway offers this 2 gallon lightweight aluminum air tank that is pressure tested at 300 psi. It has been manufactured and welded to military test specifications and is guaranteed not to rust or corrode. This is promised with a limited two year warranty.